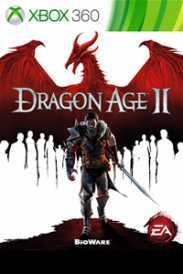 You will receive an e-mail alert when the price of Dragon Age™ 2 will drop. • Embark upon an all-new adventure that takes place across an entire decade and shapes itself around every decision you make. • Determine your rise to power from a destitute refugee to the revered champion of the land. • Think like a general and fight like a Spartan with dynamic new combat mechanics that put you right in the heart of battle whether you are a mage, rogue, or warrior. • Go deeper into the world of Dragon Age with an entirely new cinematic experience that grabs hold of you from the beginning and never lets go. • Discover a whole realm rendered in stunning detail with updated graphics and a new visual style.